Little Valley Piano Service is trusted by many of Vermont’s top piano dealers, technicians & teachers to move their pianos. With a staff of trained piano moving professionals and many years of experience in moving pianos of all types and sizes, we are fully insured to move your piano throughout the state of Vermont. 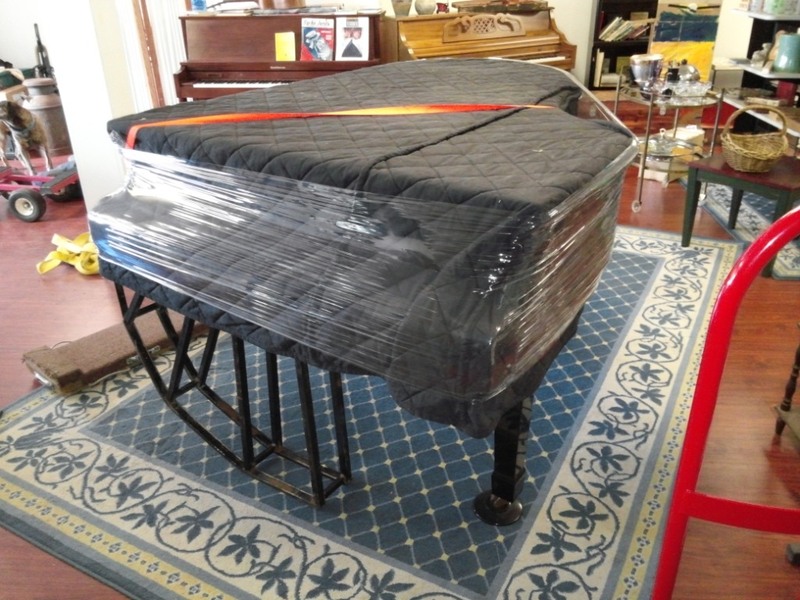 Whether you own a concert grand, an upright, or a smaller piano like a spinet or console, we will carefully wrap your piano with high-quality moving pads and securing for transport to ensure your piano gets moved safely. Upright pianos generally have dimensions of 2' deep by 5' wide, with height varying according to type of piano (usually, but not always: 36"-40" for a spinet, 42"-44" for a console, 45"-48" for a studio. Some newer professional uprights measure up to 52" or so, but many pianos in the 50" to 60" range are the heavier old upright pianos that can weigh over 800 lbs. Please provide any additional information that we may need to know to provide an accurate quote. We give quotes based on the information provided above. If there is a discrepancy between your description and the actual situation, we may have to add to our charge or may not be able to move the piano. Please include pictures of stairs, doorways, deck, landscape, piano and any other areas you feel are important. If more images are required, email me directly.